Washington, DC---- Since 2000, more than 36 million hectares---- an area about the size of Japan---- has been purchased or leased by foreign entities, mostly for agricultural use. Today, nearly 15 million hectares more is under negotiation (www.worldwatch.org). "Farmland is lost or degraded on every continent, while 'land grabbing'---- the purchase or lease of agricultural land by foreign interests---- has emerged as a threat to food security in several countries," writes Gary Gardner, contributing author of the Worldwatch Institute's State of the World 2015: Confronting Hidden Threats to Sustainability. "Today, the FAO reports that essentially no additional suitable [agricultural] land remains in a belt around much of the middle of the planet," writes Gardner. As a result, the largest grabbers of land are often countries that need additional resources to meet growing demands. Over half of the global grabbed land is in Africa, especially in water-rich countries like the Congo. Asia comes second, contributing over 6 million hectares, mainly from Indonesia. The largest area acquired from a single country is in Papua New Guinea, with nearly 4 million hectares (over 8 percent of the country's total land cover) sold or leased out. 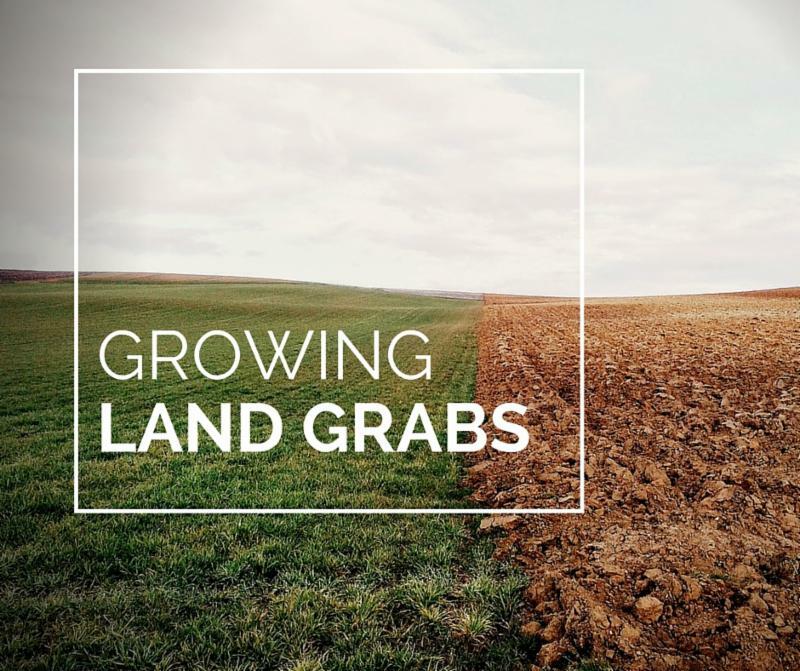 Land grabbing is precipitated by the growing challenges shaking the foundation of food production: the water, land, and climate that make crop growth possible. Globally, some 20 percent of aquifers are being pumped faster than they are recharged by rainfall, stressing many key food-producing areas. Land is becoming degraded through erosion and salinization or is getting paved for development. The changing climate is projected to cause a net decline of 0.2-- 2 percent in crop yields per decade over the remainder of the century, according to the Intergovernmental Panel on Climate Change. Worldwatch's State of the World 2015 investigates hidden threats to sustainability, including economic, political, and environmental challenges that are often underreported in the media. State of the World 2015 highlights the need to develop resilience to looming shocks. For more information on the project, visit http://www.worldwatch.org/state-world-2015-confronting-hidden-threats-sustainability-0. Note to Editors: To schedule interviews, obtain a review copy of State of the World, or for more information, please contact Gaelle Gourmelon at ggourmelon@worldwatch.org. Hoping you are doing well. Please find below the Media Invite for Junior NBA 'Train The Trainers' Initiative on Friday October 9, 2015 at the Mothers International School, Shri Aurobindo Marg, Hauz Khas. MD NBA India Mr. Yannick Colaco and Senior Director NBA India Mr. Carlos Barocca will be present for interaction. We request you to kindly grace the event. I am a Rajya Sabha MP and I want to keep our children safe. Your signature will help convince PM Modi commit to a roadmap to protect children from sexual abuse. A 15-year-old was stripped and photographed by 4 young men. Unable to bear the burden she took her own life. A 3 year-old-child was raped. She was assaulted in school by an employee who was supposed to be taking care of her. Both these incidents took place in my hometown of Bengaluru. I am shocked and ashamed. We are not doing enough to protect our children. I am a Rajya Sabha MP and I want to use all my resources to keep our children safe. I am askingPrime Minister Modi to commit to a roadmap to protect our children from sexual abuse. Sign my petition. Naresh, your support on this petition will help me make a strong case to PM Modi. Help me reach 50,000 signatures this week. We think our child is safe, something like this will never happen to anyone I know. Sadly, that’s not true!Sexual abuse is a risk all our children face all the time. At school, in our own neighbourhood and even at home. Our children deserve a safe childhood. Sign my petition.